This is a set of two Pro-Line "Sand Paw 2.0" 2.2" 1/10 Truck Rear Paddle Tires. Do you love to take your truck in the sand or snow but just keep slipping and sliding around? Then you need Pro-Line’s Sand Paw 2.0 2.2” paddle tires that are guaranteed to give you incredible traction in the sand or snow! The Sand Paw 2.0 features split paddles – just like the best-selling, original Sand Paw – that will fling sand or snow in a big rooster tail behind your truck! 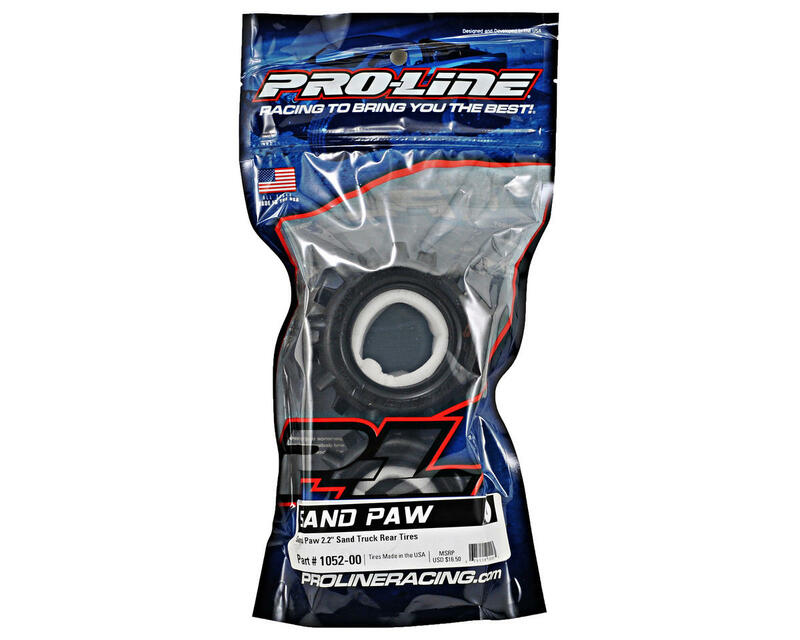 The Sand Paw 2.0 is also made out of improved rubber that will last longer and give you better traction. 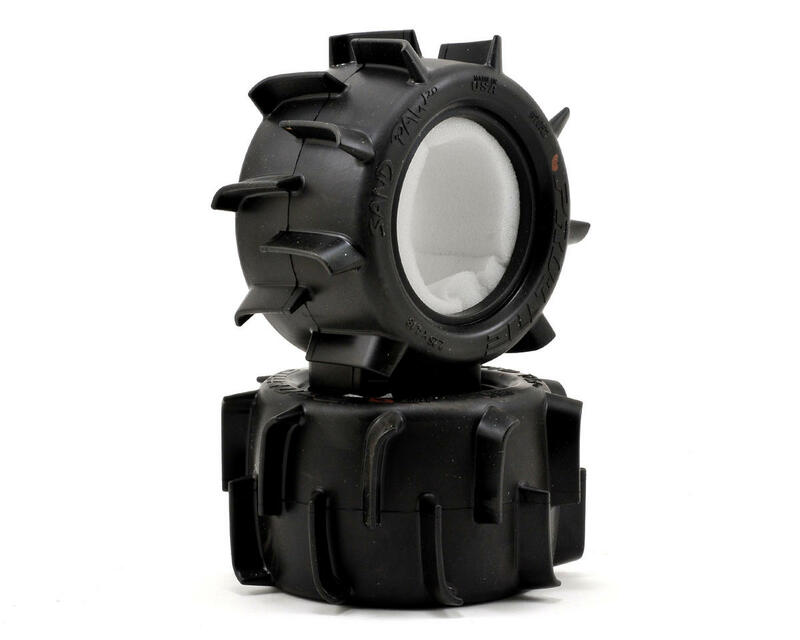 Grab a pair of Sand Paw 2.0 2.2” truck tires today! These are really nice tires. The paddles are very sturdy and will cut deeply into sand. They are also large enough that they will probably do pretty well in snow, which I intend to use them in. I also wanted to point out that my tires did not come with foam. Awesome Paddles, I run these on Revolver rims on my Kyosho Sandmaster re-release. They kick some sand up! and sound awesome trying to grip, the paddles are very hard rubber compared to other paddles I have tried which I find is great for wear. They are nice and stiff and hookup great in the sand, snow and mud. I have run them on all 4 corners on my twin hammers and in the rear of my rustler. I have about 25 hours on both sets and there about 1/2 worn.